It was a whirlwind of a day for two goats in New York. 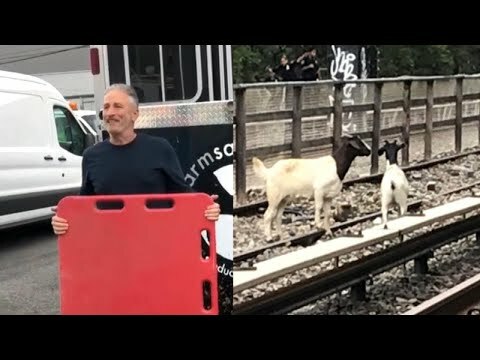 The two errant animals appeared on above-ground subway tracks in Brooklyn. The kids cavorted on the tracks while passengers waited. A team from the NYPD first tried to use wire snares to nab the pair, but they proved elusive. Officers eventually used tranquilizer guns to immobilize them. With the help of former “Daily Show” host Jon Stewart, they were sent to an animal sanctuary in Watkins Glen, New York.